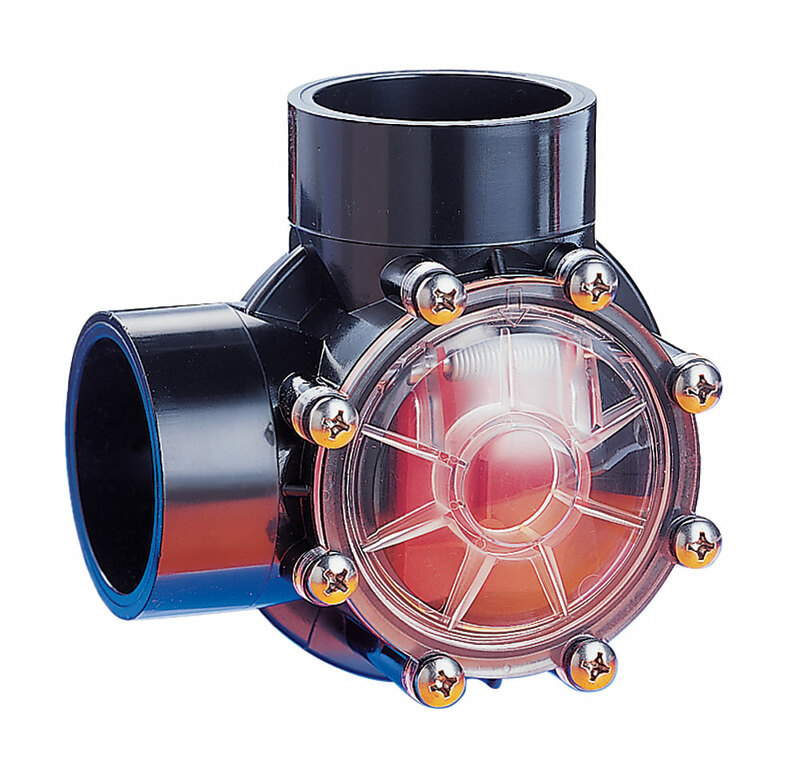 The Jandy Pro Series Check Valve features a clear lid and red seal plate for easy inspection, as well as a unique swing/spring design. 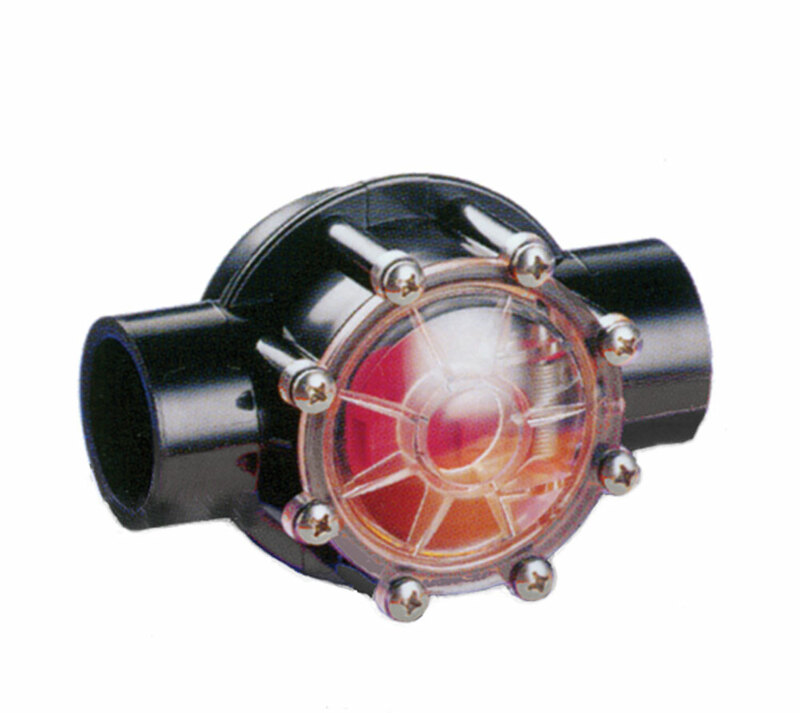 The Jandy Pro Series Check Valve features a clear lid and red seal plate for easy inspection, as well as a unique swing/spring design. It's made of the toughest CPVC material and can easily be disassembled for clearing debris. It is available in straight-through or 90° models and 2" x 2.5" or 1.5" x 2" sizes. 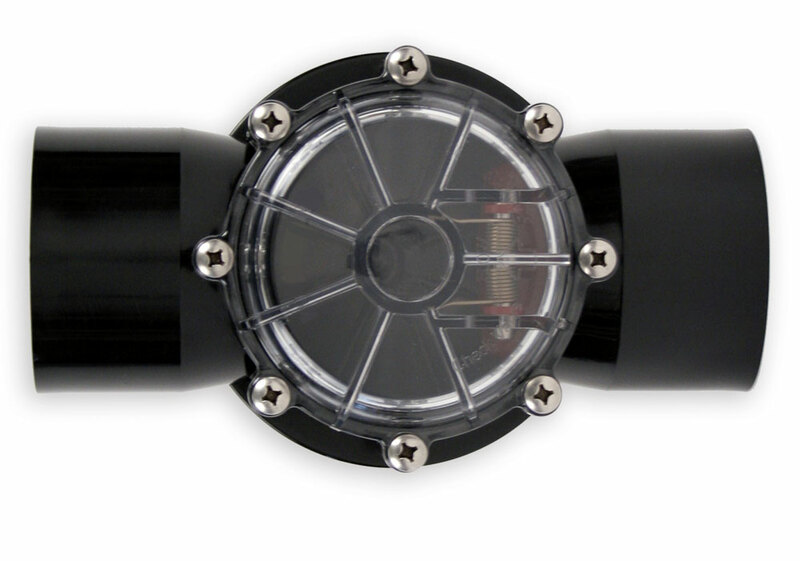 The large 2.5" x 3" dimension is designed to easily connect with the Jandy Pro Series 3HP Stealth Pump and can handle flow rates up to 170 gallons per minute with minimal head loss, making it great for spas and water features that require high flow rates.